Dr. Collins presented at Children’s Mercy Hospital. Research indicating that stress from racism contributes to low birth weights and premature births was presented Feb. 22 at Children’s Mercy Hospital by Dr. James W. Collins Jr.
Collins, medical director for the Neonatal Intensive Care Nursery at Ann and Robert H. Lurie Children’s Hospital of Chicago, said pre-term birth rates in the United States had changed little in the past seven decades. The rate for African American women also has seen little change, remaining about 50 percent higher than for white women. Collins’ presentation, titled “The Social Determinants of the Racial Disparity in Adverse Birth Outcomes: ZIP Code Eclipses Genetic Code,” reviewed several studies looking at possible causes or explanations for the persistent racial gap in low birth weights. Those factors include age, education, income, upward economic mobility and geographic mobility, and they often correlate with rates of pre-term birth in predictable ways. For example, women living in low-income neighborhoods have more pre-term births than women in middle- or upper-income neighborhoods. But African American mothers in every type of income-bracket neighborhood still have higher rates of pre-term births than their white counterparts. The results are much the same across the studies. Whatever factor is isolated and adjusted for, African American mothers still have higher rates of pre-term births. That leaves researchers looking for other causes, including racism and stress. “Racism is kind of the elephant in the room,” Collins said. He presented research indicating that African American women who experienced racism more frequently and consistently in their lives were more likely to give birth prematurely. Collins said the biological mechanism for these ill affects was still unknown, but could be something that suppresses the immune system or otherwise fosters infections. But the exact mechanism doesn’t need to be known, he said, to see the problem as social rather than strictly medical, and to “go big” and “ecologic” in confronting and combating racism. And yet must be — the land where every woman is free. 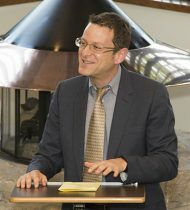 Pieter Cohen, M.D., gave the 31st lecture in the William Goodson Jr., M.D., Memorial Lectureship series. In an age of rapidly advancing technology and conflicting economic forces, it is important to guard against overuse of medical treatments and interventions, according to Pieter Cohen, M.D. He was this year’s William Goodson Jr. lecturer. Relatively high use of medical resources and procedures does not produce better results in many areas, Cohen said. For example, research indicates that 30 percent of U.S. knee replacement surgeries are not appropriate. That’s 200,000 major surgeries a year that should have been avoided, he said, resulting in 14,000 people needlessly suffering serious complications and side effects. Similarly, aggressively ordering lots of CT scans and other tests can result in other overtreatments, not to mention increased anxiety and other side effects, he said, especially when tests produce false positive results. Cohen cited research in 1973 by John Wennberg, M.D., author of “Tracking Medicine,” who identified the two main drivers of medical overuse. One is supply, so that adding physicians, specialists and hospital beds to an area will increase its use of medicine. The other is the style of medical practice prevalent in an area. When Wennberg did his research, it was rejected by the Journal of the American Medical Association. But Dartmouth University then financed Wennberg’s work and started the Atlas Project, which examined patterns of medical use and resource intensity in the U.S. According to Cohen, Wennberg’s conclusions have been proven correct, and Slow Medicine “digs deeper into the style issue to figure out what we can do better.” By involving patients, fully looking at options and not quickly reaching for a specific diagnosis and treatment, he said, Slow Medicine can improve care. Economic pressures from pharmaceutical companies and medical device makers can promote overuse of some treatments, while cost pressures can curb others than might be beneficial. Slow Medicine tries to put the focus back on what’s best for the patient, which can end up saving money, but for the right reasons. It also keeps physicians from doing things mainly to make themselves feel better, and can prevent extending a treatment that works for some types of patients to others for whom it really wouldn’t be beneficial. Cohen said Slow Medicine also can take more effort, to fully explain possible risks and rewards of different treatment choices, so that patients have more information and can know that there’s a good case to be made for more than one treatment option. In the end, more thoughtful, appropriate and caring practice can result. Slow Medicine also is “about letting go of a specific, certain diagnosis” in favor of a more general assessment and then watchful waiting for signs of a particular ailment or for a clearer indication that treatment is needed. The slower approach often provides time for healing without intervention, he said, or provides the data needed to take the best treatment approach possible. Cohen was the 31st speaker in the William B. Goodson Jr., M.D., Memorial Lectureship, which was established in 1987 by a group of families, patients, colleagues and friends to honor Goodson’s many contributions to medicine. 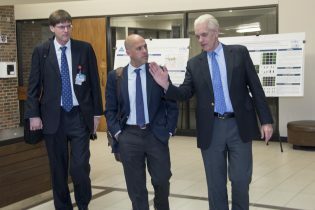 Pieter Cohen, M.D., associate professor of medicine at Harvard Medical School, was flanked by David Wooldridge, M.D., associate professor of medicine at the UMKCSchool of Medicine, and John Goodson, M.D., also an associate professor of medicine at Harvard, who presented last year’s lecture in the series named for his father, William Goodson, M.D. The challenge of finding the right dosage of medicines for young patients is complex and requires fresh thinking, J. Steven Leeder, Pharm.D., Ph.D., told the audience for the latest installment of the Health Sciences Deans’ Seminar Series. 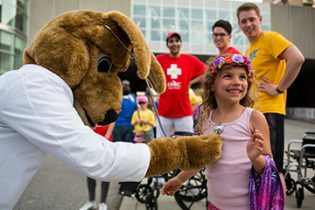 Leeder, who leads the pediatric clinical pharmacology group at Children’s Mercy Hospital, noted that many drugs are initially developed for adults and tested on them, making dosage calculations for children more difficult. On top of that, he said, the typical differences in how people respond to a drug can be magnified in children, given great differences in patient weight and in how rapidly different biological mechanisms in children can change during growth and development. The maturation of the brain, Leeder said, implies that receptors and transporters affecting drugs’ effectiveness may be changing in children and adolescents, but there’s relatively little research knowledge of these changes. Given those challenges, he said, it makes sense to invert the usual sequence of “dose-exposure-response”: administering a standard dosage of a drug and then seeing how much of that dosage is present in a patient’s body and how much the patient’s condition responded to the drug. Instead, he favors looking at “response-exposure-dose”: identifying the desired response or therapeutic outcome, and determining the amount of drug that needs to be in the body – the “exposure” — to achieve the desired response. Given that knowledge, he said, then a dosage can be tailored to the patient. Leader, who practices at Children’s Mercy Hospital, noted that many drugs are initially developed for adults and tested on them, making dosage calculations for children more difficult. On top of that, he said, the typical differences in how people respond to a drug can be magnified in children, given great differences in patient weight and in how rapidly different biological mechanisms in children can change. The maturation of the brain, Leeder said, means receptors and transporters that affect drugs’ effectiveness must be changing in children and adolescents, but there’s relatively little research knowledge of these changes. Given those challenges, he said, it makes sense to invert the usual sequence of administering a standard dosage of a drug and then seeing how much of that dosage was used by a patient, and how much the patient’s condition responded to the drug. Instead, he favors looking at the response or outcome that’s desired, and then trying to gauge how well an individual patient’s system will use a drug. Given that knowledge, he said, then a dosage can be tailored to the patient. Such an approach, he said, might best use the “more information on everyone” being provided by the increase in genomics, bioinformatics and population-wide data from electronic health records. 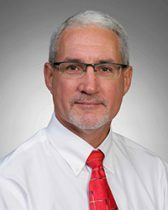 Leeder holds the Marion Merrell Dow Endowed Chair in Pediatric Clinical Pharmacology and is division director for clinical pharmacology and therapeutic innovations. He earned his pharmacy degree at the University of Minnesota and his doctorate at the University of Toronto. He completed a fellowship in clinical pharmacology at the Hospital for Sick Children in Toronto. 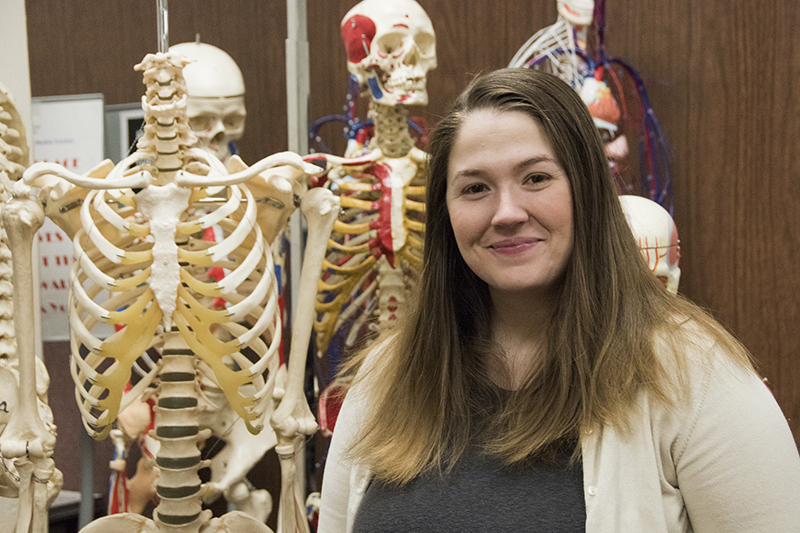 The School of Medicine is accepting nominations for three upcoming faculty, staff and student awards in the areas of diversity and health equity, mentoring and medical education research. The Excellence in Diversity and Health Equity in Medicine Awards recognizes an individual or organization that has demonstrated sustained and impactful contribution to diversity, inclusion and cultural competency or health equity. The award is given to a student or student organization, and to faculty, staff, resident and/or organization/department. Strengthening efforts to develop or implement cultural competency strategies that improve health-care delivery. Nomination materials should be sent to the attention of Cynthia Ginn in the Office of Diversity and Inclusion at ginnc@umkc.edu. 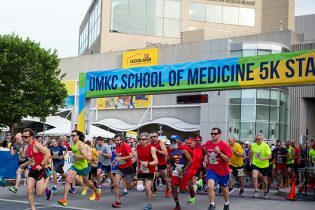 The second annual Louise E. Arnold, Ph.D., Excellence in Medical Education Research Award will be given to a tenure track or nontenure track faculty member who has contributed to innovation and scholarship related to medical education at UMKC School of Medicine for a minimum of five years. 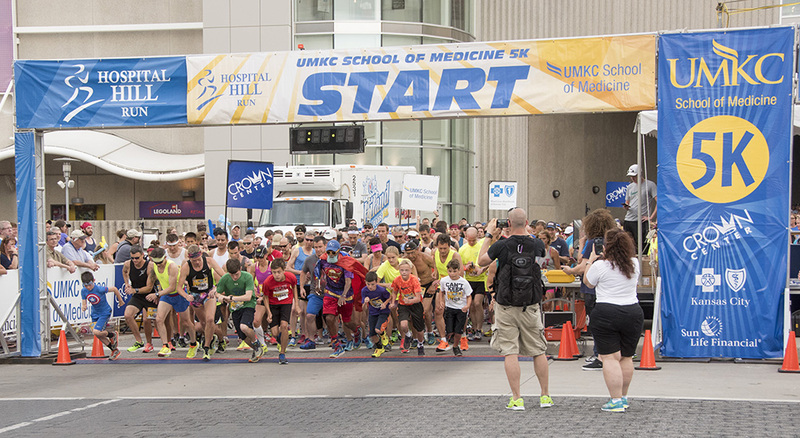 Nominations for the mentoring and medical education research awards should be sent to Dr. Rebecca R. Pauly, M.D., chair, selection committee, at paulyr@umkc.edu. Winners of the awards will be announced on Sept. 7 during the annual Faculty Promotion and Awards reception at 4 p.m. in Theater B. The Missouri Delta Chapter of the AOA medical honor society welcomed its 2017 class of students, residents, alumni and faculty on May 5. Richard Isaacson, M.D., ’01, delivered the annual AOA Lecture. The School of Medicine’s Missouri Delta Chapter of the Alpha Omega Alpha Honor Medical Society welcomed its 2017 class of inductees during an annual celebration at Diastole. 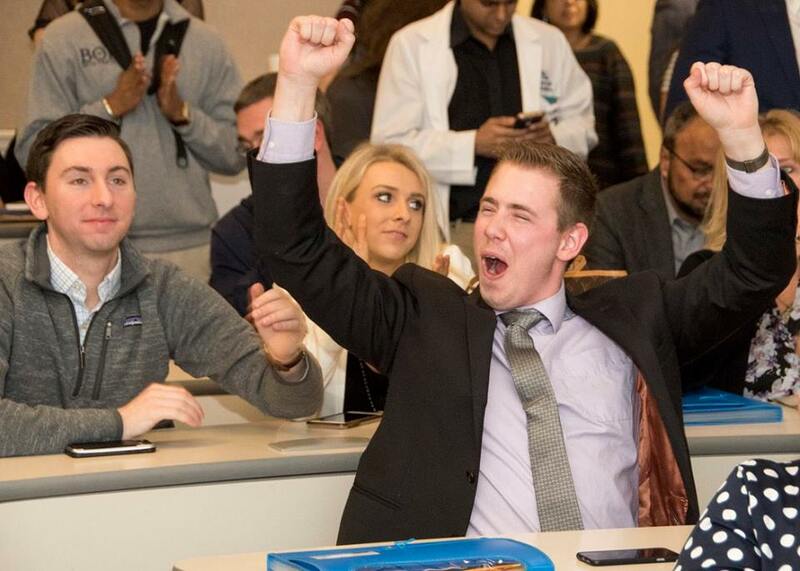 Induction to the society is an honor that recognizes one’s excellence in academic scholarship and adherence to the highest ideals of professionalism in medicine. New AOA members are selected based on their character and values such as honesty, honorable conduct, morality, virtue, unselfishness, ethical ideals, dedication to serving others and leadership. 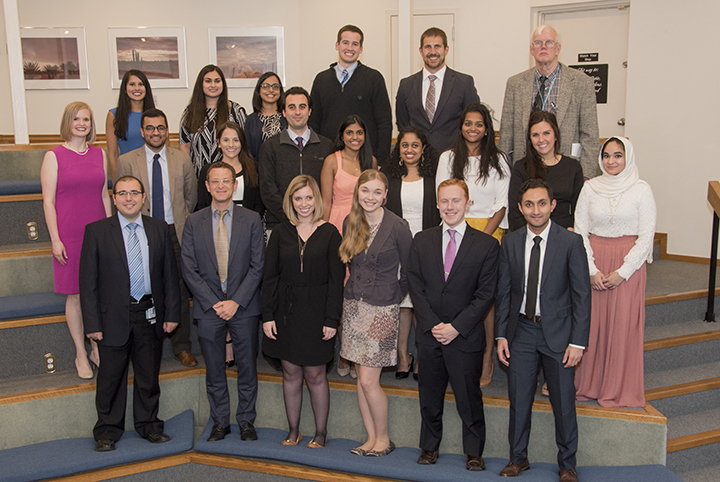 This year’s inductees included 12 new junior and senior students, residents and fellows, alumni and faculty. Student inductees include: Junior AOA members Danielle Cunningham, Sanju Eswaran, Carlee Oakley and Vishal Thumar; and senior members Mohammed Alam, Jeffrey Klott and Reid Waldman. Resident and fellow inductees were Mouhanna Abu Ghanimeh, M.D., Katrina Lee Weaver, M.D., and Stephane L. Desouches, D.O. Sajid Khan, M.D., ’05, was the alumni inductee and Dev Maulik, M.D., chairman of obstetrics and gynecology and senior associate dean for women’s health, was this year’s faculty inductee. Twelve senior inductees were also selected last fall, including: Himachandana Atluri, Kayla Briggs, Molly Carnahan, Kevin Gibas, Neil Kapil, Susamita Kesh, Deborah Levy, Sean Mark, Luke Nayak, Amina Qayum, Dayne Voelker and Zara Wadood. 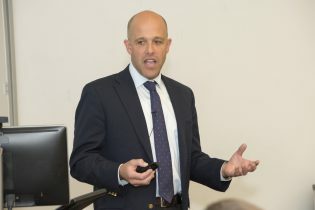 Richard Isaacson, M.D., ’01, delivered the annual AOA Lecture on May 5. Isaacson serves as director of the Alzheimer’s Prevention Clinic and Weill Cornell Memory Disorders Program at Weill Cornell Medical College/New York-Presbyterian Hospital. He spoke on advances in the management of Alzheimer’s treatment and prevention.